Children’s Day - Oslavy 700. výročí narození Karla IV. 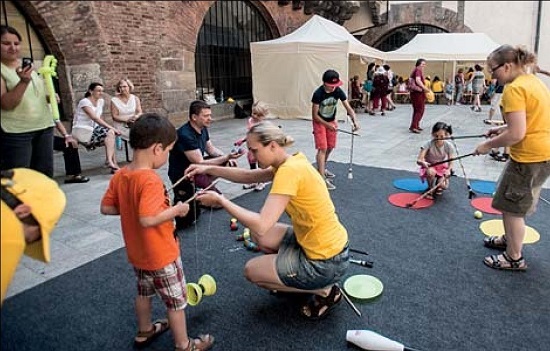 The Charles University also prepares programmes for schools and families with children. In addition to guided tours, there will be a thematic children’s day focusing on Charles IV and the Charles University, prepared for children from 5 to 15 years. As part of the programme, visitors will be able to watch a puppet theatre show, historical fencing and dancing performances, historic weapons, historic crafts, etc. Moreover, there will be New Town guided tours (monasteries, churches, Charles Bridge, and Carolinum) with tasks for children accompanied by their parents. © 2019 Oslavy 700. výročí narození Karla IV.